In the studio this week, we’re reviewing the Southampton Business Expo, which we recently exhibited at last week on Thursday November 15th. 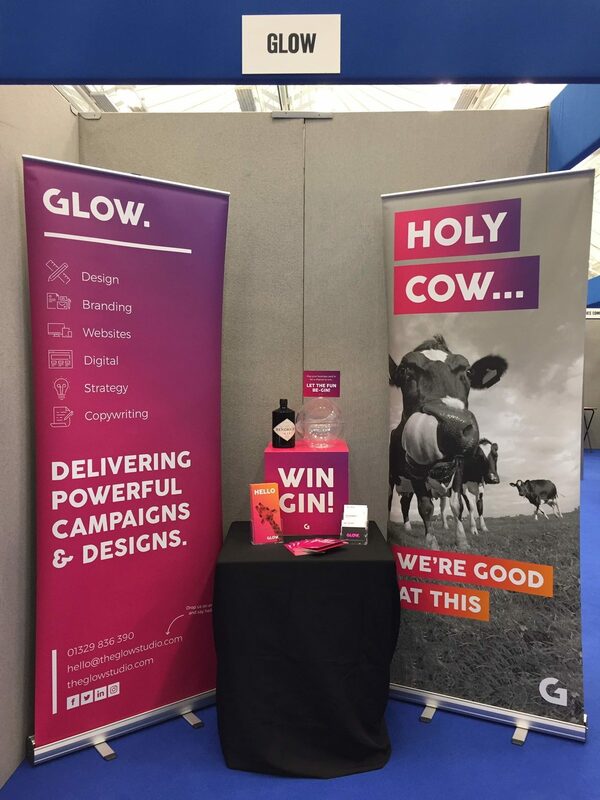 It was the first year Glow had exhibited at this renowned event, held at the Ageas Bowl in Hedge End, and we were excited to see how the day would unfold. After setting up our stand in the morning, we were all prepped and ready to go. We may be biased, but we think our stand really made an impact. With our distinctive colour palette, bold imagery and comical puns, there were certainly a few talking points to get the networking off to a great start. 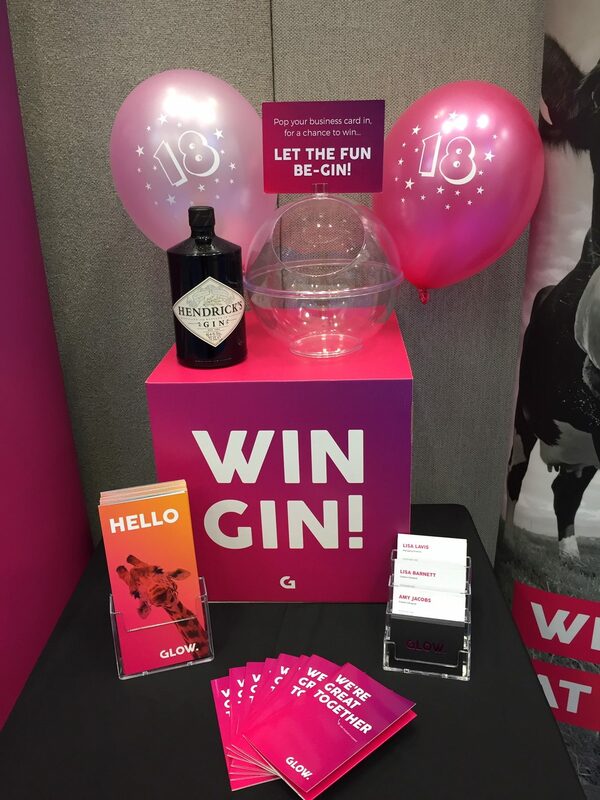 And, who could forget our ‘Win Gin’ competition, which definitely drew in a lot of eager Gin fans. At Glow we’re not all about hard sales and pushy pitches, instead we saw this event as a brilliant opportunity to meet new people and get the conversations flowing. Our aim was to really get our brand out there and to make it even more recognisable. So, it was definitely a success seeing the amount of people who stopped at our stand to say hello and to tell us how they knew us or had heard of us. We’ve even started to become known as ‘the pink company’, which we quite like, as it has a nice ring to it. Although, don’t be fooled pink isn’t actually any of our favourite colours, but you can’t deny how bold and impactful it is. Make sure you keep an eye out for us at future expos! The Southampton Business Expo is held annually and is a great networking event for businesses who are looking to grow and prosper. 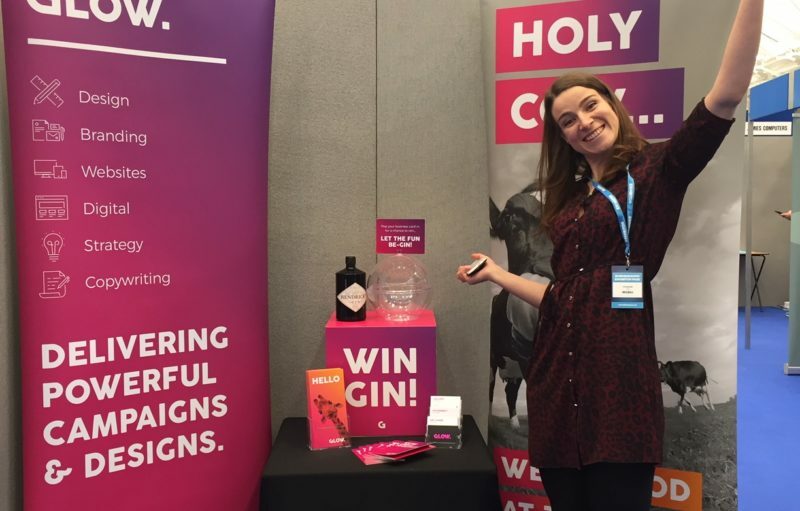 This free-to-attend expo provides a hive of creativity and activity for visitors too and is a worthwhile day out, or just a good chance to get out of the office for a couple of hours to meet new contacts (and get some great freebies)!